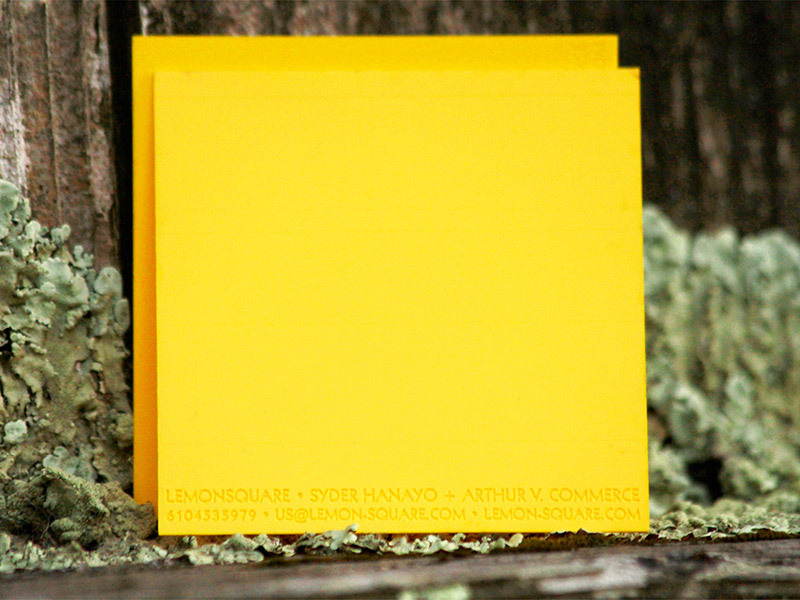 Lemon Square Business Cards - Pure Black, Inc.
Couldn’t be happier with how nice these cards came out for our friends Lemon Square. Clean. Minimal. Beautiful. A perfect representation of their outfit. Laser engraved on 1/32″ yellow acrylic.